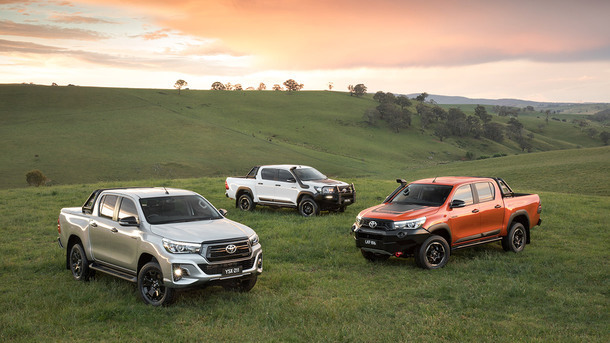 Australia's best-selling vehicle, Toyota HiLux, will ramp up its strength, capability and attitude to even greater levels with the introduction of a trio of new models during the second quarter of this year. The three dramatically styled new 4x4 variants - the HiLux Rogue, Rugged and Rugged X - will extend the "unbreakable" reputation of HiLux with features that boost off-road protection, recovery and functionality. Topping the new line-up of halo HiLux models, the Rugged X is primed for adventure with its daring design incorporating a high-tensile alloy bash plate and a winch-compatible hoopless steel bull bar - both of which are compatible with the vehicle's airbags and other safety systems. Rugged X goes beyond the top-of-the-range SR5 with a new black grille with a bold interlocking honeycomb design and gloss-black surround. It is also equipped with a snorkel, LED driving lights, high-strength front and rear recovery points, rock rails, a load-carrying sports bar and other heavy-duty components. HiLux Rogue, which will also sit above the SR5, offers a premium vehicle that features a bold, aggressive image and wider appearance created by its hexagonal upper grille, fresh front bumper and heavily revised fog lamps. 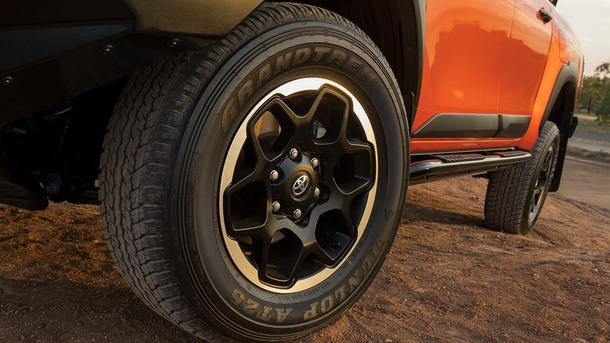 The third new model, Rugged, provides off-roading enthusiasts with a vehicle that is ready for action. It features a functional yet aggressive front-end design, including a premium steel bull bar. 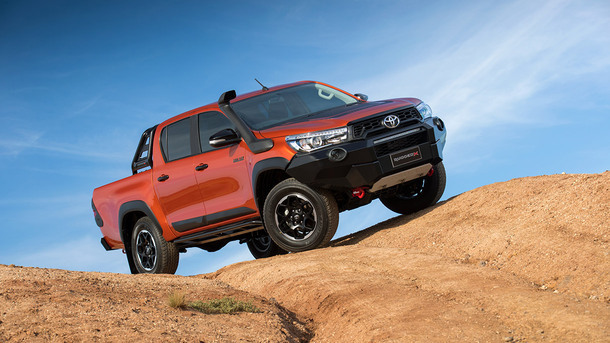 Toyota Australia's vice president sales and marketing Sean Hanley said the new models will add a bold, aspirational attitude to the quintessential HiLux attributes of being tough, strong and unbreakable. "HiLux buyers increasingly demand additional features - in fact, they spend more on accessories than any other vehicle in our range," Mr Hanley said. "These new vehicles will enable them to make a statement with advanced toughness, added capability, practical comfort, first-class safety and the in-built strength that makes HiLux the indisputable No. 1," he said. "HiLux Rugged X is a no-compromise vehicle for those seeking adventure with a robust and capable vehicle that makes the ultimate statement: work hard, play harder. "HiLux Rogue is for people who want refinement and capability, enabling them to go for weekend adventures and do it in style. 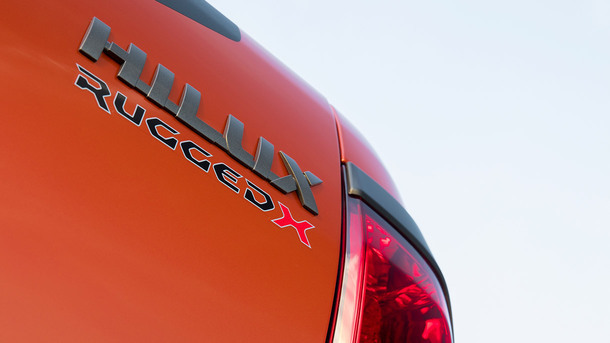 "HiLux Rugged is about toughness and off-road performance - an ideal vehicle for getting off the beaten track." Mr Hanley said all new components will be fully integrated with the vehicle, certified to Australian Design Rules to be fully homologated and attract full warranty coverage. He said they had been developed to Toyota's rigorous and renowned vehicle standards and were optimised for performance, durability and mass. Model range and specifications are subject to final confirmation by Toyota Australia and may differ from those shown.